Throughout my career I have had to ship various robots to different locations around the world. Here is a little bit about what I have learned about transporting robots. The three basic ways for a robot to travel are by land, by air, and by sea. Typically, shipping over land is the easiest option. You can find a trucking company (or train, though I have never used one) that will transport your robot. When you get a truck you can sometimes get a partial truck where you are given a certain volume to use, or you can get a full truck where the entire truck is dedicated to your payload. The nice thing with a truck is you provide them with a time, date, and location, and the driver will bring your stuff to you. Ground transportation generally is the least restrictive. You will need to follow Department of Transportation (DOT) restrictions (and other rules) for things such as max width and height of your load. Transporting by air is good when you need to get something somewhere fast. This is especially true when you need to cross oceans. The downside is that this is also an expensive way to travel. Putting a large robot with support equipment on a plane can be pricey. You are also limited in what you can put on the plane an airline might refuse to ship a gas/petrol powered robot or lithium batteries, for example. Shipping by sea is a nice way to transport your robot across oceans (or long distances around a coast) if you have lots of time on your hands … Sending a shipping container (which is easy to pack, almost like a truck) from the North America to South America by boat can take an easy month. A big benefit is that you can ship lithium batteries across oceans this way. And shipping by sea is often cheaper than doing so by land or by air. Often you will need multiple shipping companies. For example, you might have: a local truck to the port, the ship/boat company, a truck from the destination port to a large city, and then another smaller truck to your location. There are shipping agents that can help you arrange all of that. Also, for smaller robots (where small is relative) don’t forget about UPS and FedEx to ship your freight. You can look in your local yellow pages or on Google to find shipping companies and shipping agents near you. When you are planning to ship by truck, you will need to consider the different types of trucks to choose from. Within each of these types there are also different lengths of trucks that you can request. You should be aware that truck drivers will usually want to inspect the loads to make sure they are secure. With many types of trucks, the truck driver will be the one that secures the load, and not you. 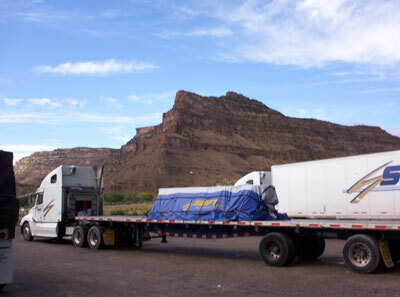 When you have a truck come to your loading area, you should find out in advance how long it is to make sure the truck will be able to drive in and out of your area. Pickup + Trailer – This is just a standard pickup truck that you can also get a trailer to tow behind it. This is the smallest and simplest type of truck mentioned here. Tow Truck – These are the standard trucks that haul cars. It is easy and inexpensive to get a local tow truck and driver to help you move a robot. You will usually want to request a tow truck with a flat-bed and not one that drags a car behind it. Keep in mind that the driver from the tow company will be the one operating/driving the truck, and that the truck will usually have an open top, so your cargo will not be protected from the elements. 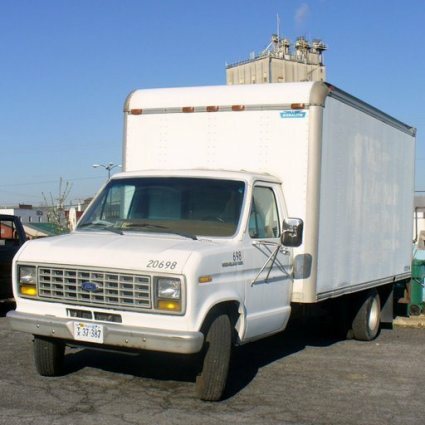 Panel Truck or Box Truck – This is another easy to get truck. You have probably seen large versions of these trucks on the highway, or smaller versions in the city; they have a metal box in the back for transporting goods. The small and medium sized versions of these trucks are easy to rent and you can drive them your self (as opposed to getting a truck with a driver). This is the type of truck I use most because I can rent and use them on my own schedule. Flat Bed – A flat-bed is a truck has a flat platform instead of a box. These are good for carrying large loads and being able to get a forklift in from all sides. The downside is that your robot is not protected from the elements and is exposed (but of course you can use a tarp). Low Boy – The carrying surface of a Low Boy truck is close to the ground, and it offers better clearance when transporting tall/large payloads. Low Boys can come apart in various ways that allow you to drive a robot onto them. When doing a roundtrip shipment, a truck driver might hang around town waiting for you, and may try to get a few local hauls while waiting. It can often be helpful to pay the driver a little extra for them to help you in the field, even with non-trucking tasks. Many of the truckers I have met are good at solving field logistic issues and improvising to fix mechanical items. We have even asked truck drivers to help record video! A good crate can make all the difference when shipping items. You generally want a crate that is elevated by multiple blocks so that it can be lifted by a pallet jack (or fork lift) from any of its sides. A common mistake people make is to build a crate with just a few slats that only allow forks to enter from one side. When you build your crate, you will want to use stamped wood that is certified to be pest free so that countries will allow your wood/crate across their borders. There are many places (such as Hawaii’s Dept. of Agriculture) that will insist on inspecting the crate for foreign infestations. You will also want to think about how to seal the crate. For this, there are various methods ranging from screws to latches, clips and climps. Ask yourself if you will have access to tools at your destination, or if will they all be in the crate that you need to open. Using climps or latches can be an easy way to secure a crate shut; these can be bought online from packaging and shipping suppliers. There are professional crate makers that can do a beautiful job building crates. They often build crates for companies that ship to exhibits, and can help walk you through exactly what you need and make a crate that fits your robot perfectly. They will also have different supplies you can purchase, such as stamped wood for international shipping, foam sheets, various ways to seal the crate, and ways to secure your load in the crates. Once your robot is in its crate, you will want to tie it down so that it is secure. I will often use wheel chocks or 2×4 lumber to help hold a robot’s wheels in place, and then use some screw-in eye bolts to help tie the rest of the robot down. Heavy items like batteries can often be removed from the robot and secured to the base of the crate. This will help prevent a heavy battery from coming loose inside your robot. You may also want to label all sides of your crate “FRAGILE” and note the direction that the crate should face (“THIS SIDE UP”). If you plan on shipping batteries by air (especially lithium-ion) you need to plan in advance, because airlines are concerned about batteries exploding and catching on fire mid-flight. If you built your own battery pack, then you have little chance of getting it approved to fly. It is possible to get prototype batteries certified to fly, but it is not easy or fun. If each cell or individual battery is certified to fly you might be able to take your pack apart and then ship it. If you have batteries that are safe to fly, you should attach documentation directly to the battery pack so that anyone inspecting has proof of their safety. Shipping your robot internationally can be complicated. 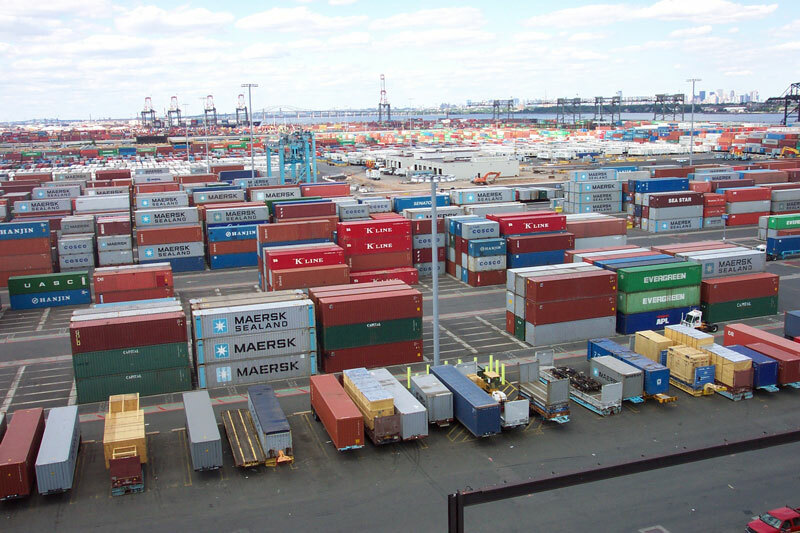 You may want to work with a shipping agent that has experience in international shipping. You will need to generate your manifest weeks or months in advance so that it can be approved – this will minimize problems with customs and shipping. Taxes and regulations vary from country to country. There is something called a carnet that allows you to declare that the items you are bringing into a country will be taken back out with you when you leave. A carnet can help you to get through customs and avoid paying taxes. The downside is that it costs money to prepare the carnet. They are also not foolproof: once I tried to use a carnet to get my robot through customs at the airport and none of the officials there knew what it was it took lots of people lots of time to figure it out.